Saying the Nürburgring is good is like calling water wet, or Puffalumps soft. It just is. I drove the biggest and the littlest Volkswagens that we don’t get in America on the ‘Ring over the summer. I even asked you what you wanted to know about the Amarok! Now you can read about it over on Autoblog. I’d only driven the Nordschleife once, though, so I opted to get some instruction before taking a press truck around there. I even went in the littlest VW currently on sale elsewhere in the world: the thoroughly delightful Up! This one was Misha “Boosted Boris” Charoudin’s internet-famous Sub7Up! It’s always a fun time when you get to ask, “So, uh, how did you get tipped off that the 919 Evo was practicing for a record run?” That article lives over at The Drive. Volkswagen, Up!, Nürburgring, Nordscheife, Volkswagen Up!, Sub7Up! I didn’t fall off the face of the earth, I swear! Let’s be honest: if I’d have taken a press truck and ran, it probably just would’ve been around the Nürburgring some more. It’s weirdly delightful to tower over everybody’s ‘Ring-tools in a big orange pickup. However, the ‘Ring actually closes for winter, and I probably would’ve gone home then anyway. That’s also a good place to send any openings you see for an English-language writer in the greater Nürburg area, especially if they’ll chip in on relocation costs. Just...throwing that out there. 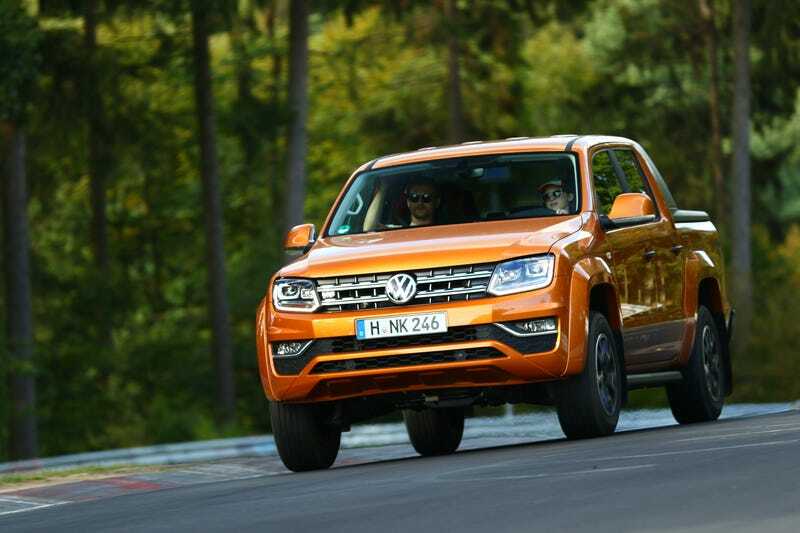 What Do You Want to Know About the Volkswagen Amarok?